Spotlighters’ annual benefit gala launching our 55th season will take place Saturday,October 15, 2016, 6 pm to 11 pm at The Grand, 225 N. Charles St. Baltimore, MD. Theatre lovers from Baltimore and beyond are invited to join the friends, patrons, cast, and crew of the Audrey Herman Spotlighters Theatre for the 2016 Audrey Herman Celebration, our annual gala honoring our founder, the late Audrey Herman, and showcasing our coming season of bold, diverse, exceptional theatre. The evening will begin with cocktails in The Grand’s elegant Mirror Ballroom and continue with dinner, dancing, awards, and a silent auction featuring tickets to local theatres, restaurant gift cards, exclusive tours of local wineries, and other treats of Baltimore. Guests will be treated to a “sneak peek” at the emerging plans for relocating Spotlighters and expanding its programming and facilities. During the gala, Managing Director Fuzz Roark and the Spotlighters Board of Directors will present the annual Audrey Herman and Spotlighters awards honoring valued supporters of the theatre. The Audrey Herman Award will be presented to Vincent M. Lancisi, founding artistic director of Everyman Theatre, for his passionate support of the arts and theatre across Baltimore. Mr. Lancisi founded Everyman Theatre in October of 1990 and has directed more than 35 productions there. 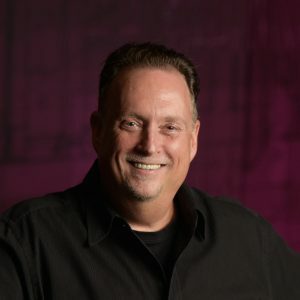 In addition to his work at Everyman, Mr. Lancisi has taught acting and directing at Towson University, University of Maryland, and Catholic University, and he was recently named President of the Bromo Tower Arts & Entertainment District. Mr. Lancisi has been a great friend and resource to Spotlighters Theatre as we plan the relocation to the Bromo Arts District. The Spotlighters Award will be presented to Nicholas A. Fuhr for his more than 10 years of volunteer service to the theatre. In that time, he has handled box office and front of house duties, has applied his knowledge and experience as an architect to assist with designing renovations of the theatre, and has even tried his hand at stage managing. He recently joined Spotlighters’ Board of Directors and looks forward to supporting the continued growth and expansion of this wonderful family of talented and dedicated people. Share the excitement with Spotlighters at the 2016 Audrey Herman Celebration! Tickets are $75 a person and are available at www.spotlighters.org or by calling 410-752-1225.